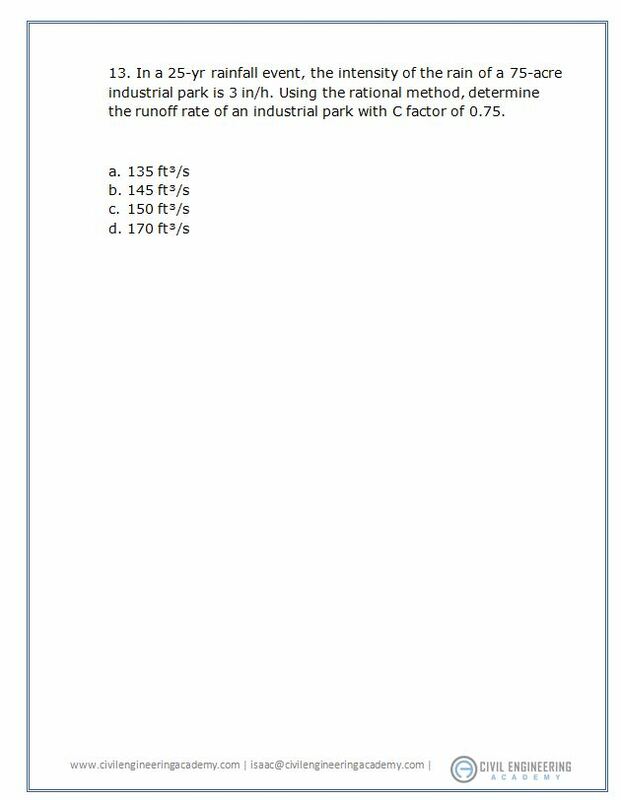 The goal of this page is to provide you with resources and content related to the depth section of the civil engineering PE exam. It has been said, and I agree, that you should be spending about 60% of your time in the depth section you choose. 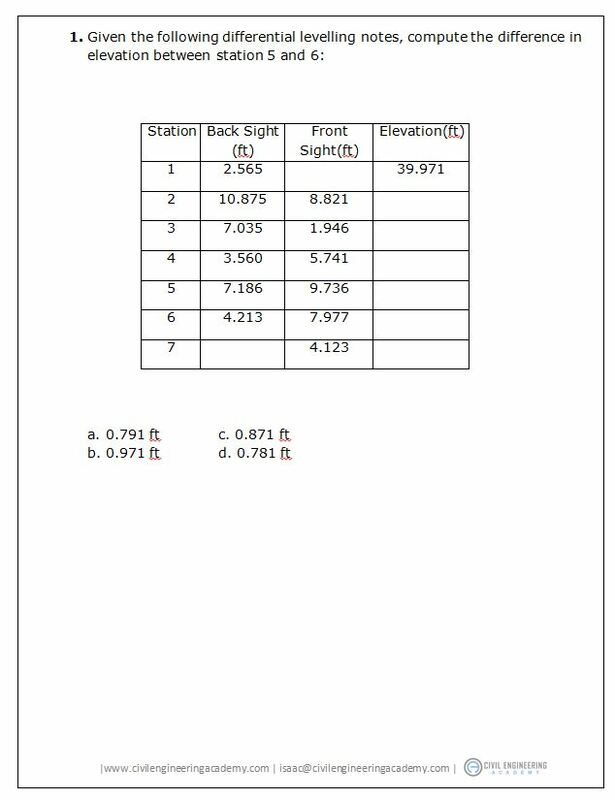 Knowing your depth section really well will not only help you in the afternoon portion of the exam, but it will help you to ace that specific portion on the morning exam. In the past you were able to register for the PE exam, get to the test site, and then choose the depth section on the fly because they gave you a book filled with all of the problems. Now, when you register with the NCEES organization you are required to select upfront what depth section you are going to take and that is all you get – no changing. So, hopefully these exams will help you make a decision if you are undecided. I also want to let you in on a little secret. If you’re interested in taking a PE review course, we’ve built one! If you take our FREE training series you can learn about our exclusive VIP membership that includes these exams as part of the course! 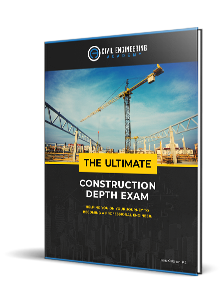 Here is your copy of The Ultimate Construction Depth Exam! This exam is meant to test your knowledge in the are of construction. 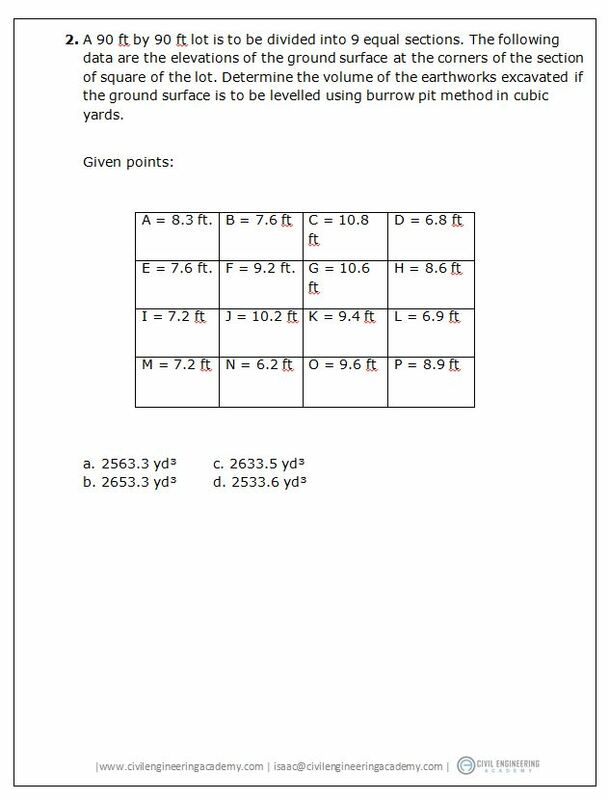 This section seems to be the most popular depth section found on the PE exam – but necessarily mean the highest pass rates. Your depth section is much harder than the breadth section so these are meant to challenge you. As always, I appreciate any feedback you have on the exam. 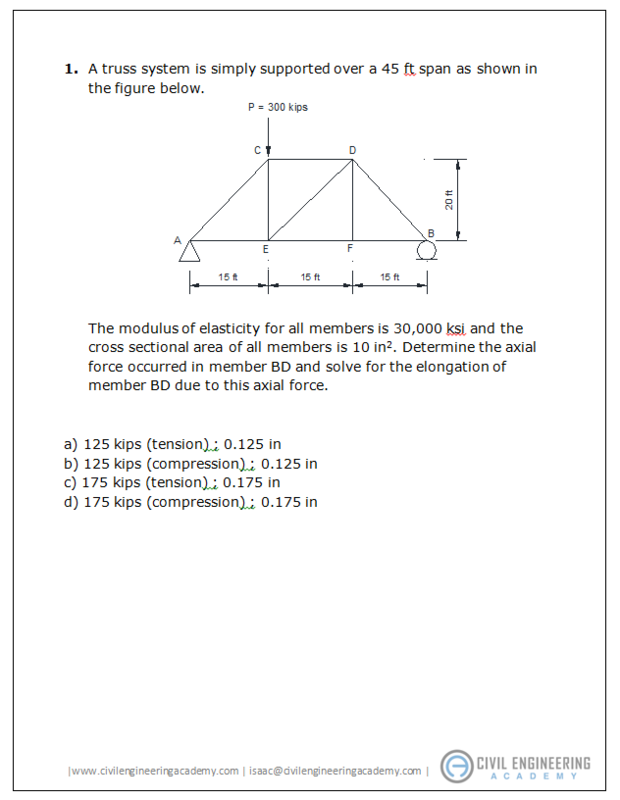 This test includes 40 questions and solutions for the construction depth exam. It is an instant download so you can get going on it right a way. If updates are ever made to anything, you get the new copy for free. 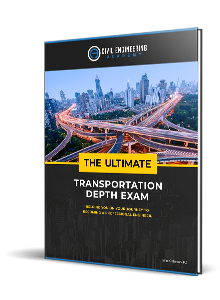 Here is your copy of The Ultimate Transportation Depth Exam! This exam is mean to test your knowledge in the area of transportation. Your depth section is much harder than the breadth section so these are meant to challenge you. As always, I appreciate any feedback you have on the exam. 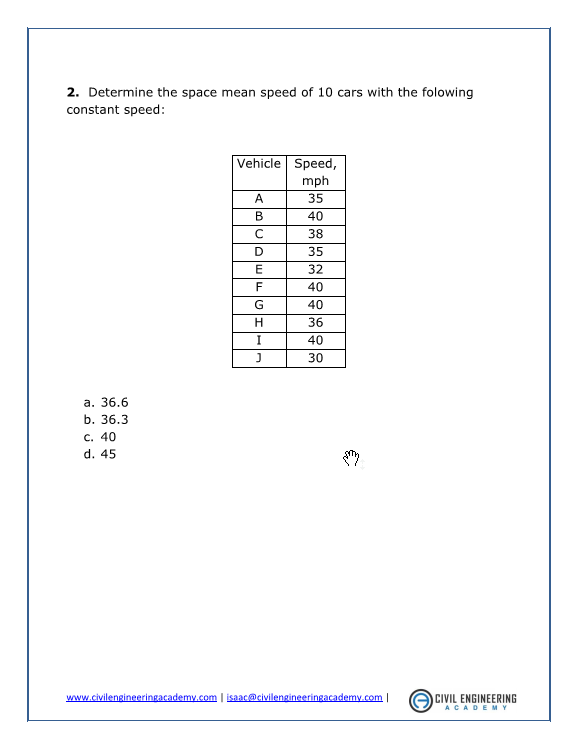 This test includes 40 questions and solutions for the transportation depth exam. It is an instant download so you can get going on it right a way. If updates are ever made to anything, you get the new copy for free. Let’s get started! 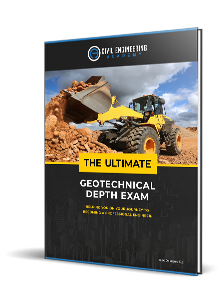 Here is your copy of The Ultimate Geotechnical Depth Exam! Please let me know what you think of it. Remember that the more you practice the better off you’ll be. This test will give you more exposure to dirt – I mean geotechnical engineering. If you are looking to polish up your geo skills, look no further. 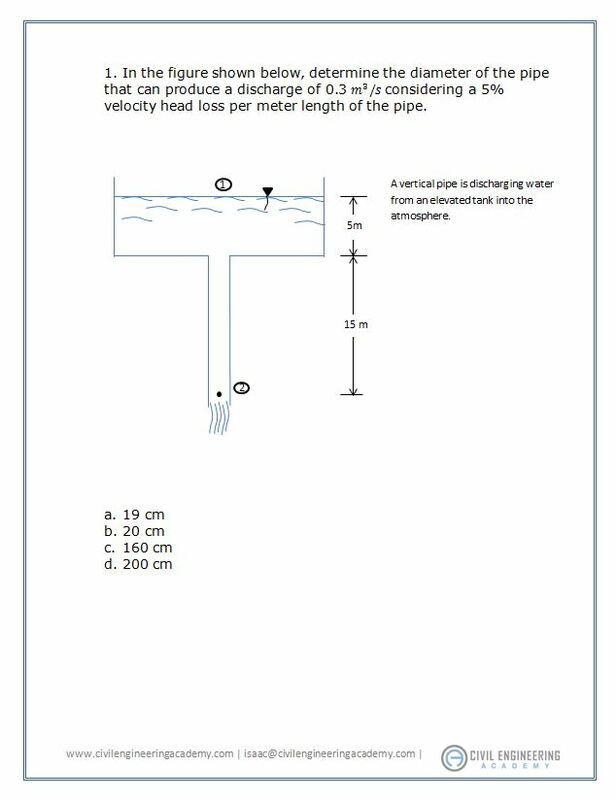 This exam has 40 depth-type questions and solutions covering the geotechnical area. Each problem is labeled so you know what areas you might need to hit hard if you are struggling. It is an instant download as well, and any updates (if ever needed) will be free to you after purchase, so what are you waiting for? Let’s get going on it! There’s nothing like studying dirt! Here is your copy of The Ultimate Water Resources Depth Exam! Remember that the more you practice the better off you’ll be. This test will give you more exposure to water resources and environmental problems. If you are looking to polish up your water skills then look no further. You know, one of the best things about taking the water resources depth exam is that you don’t need any standards to bring in with you. Yep, none (check out the NCEES spec!). But, make sure you don’t leave home without this test! 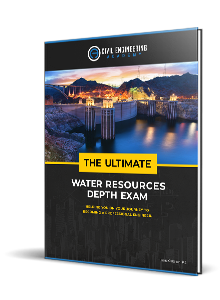 This exam has 40 depth-type questions and solutions covering the water resources and environmental area. Each problem is labeled and sub-labeled so you know what areas you might need to hit hard if you are struggling. It is an instant download as well and updates, if ever needed, will be free to you after purchase. If you want a physical copy of the book, we just published one that you can find right here. So what are you waiting for? Let’s get going on it! 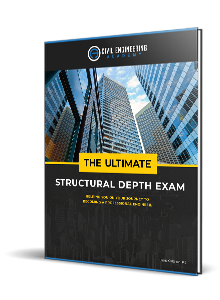 This is The Ultimate Structural Depth Exam! 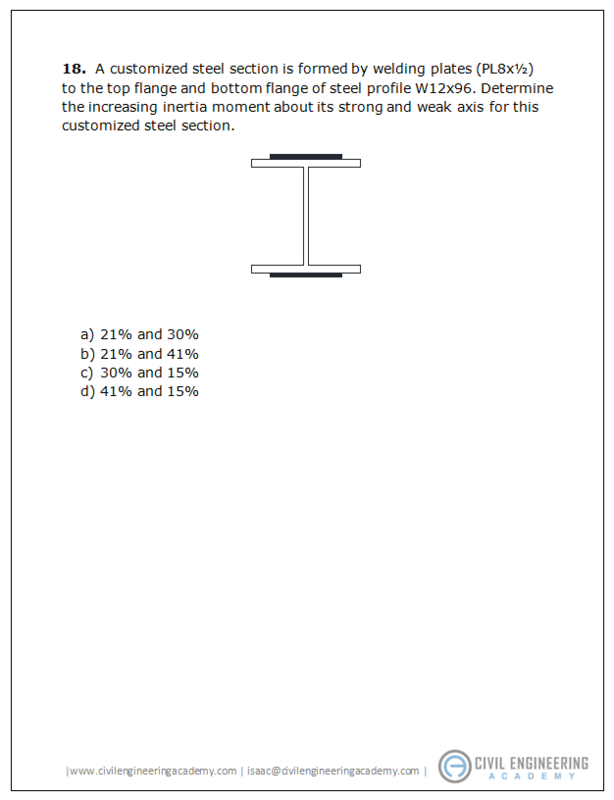 You’ll find 40 questions and detailed solutions in this exam. Each problem is labeled so it’s easy to go back to a particular problem if you need more practice. These exams helped me identify my weakest areas and determine where I need to spend more time. The water resources and geotech questions are especially helpful. This is exam an excellent tool for studying and for the price it is a steal. I love your materials! I will most certainly recommend you to others. I appreciate how clear you are about where you find the formulas that you use to solve problems, unfortunately, that seems to be an attribute unique to your program!